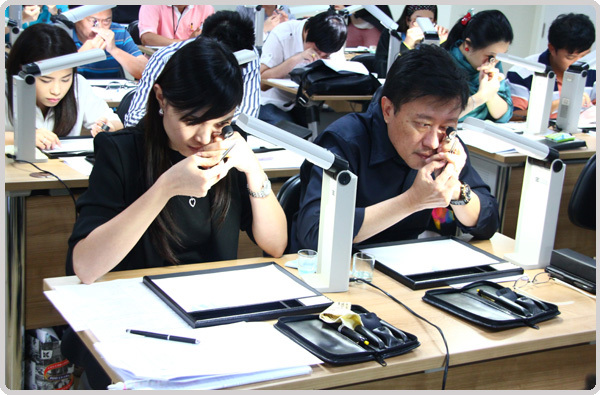 The Gem & Jewelry Institute of Thailand, in collaboration with the Gemmological Association of Great Britain (Gem-A), the world's first gemological institute, is pleased to offer training towards the Gem-A Gemmology Diploma. This is the single most prestigious international gemological qualification in the world. Upon completion of the Diploma course, students will be confident at handling, testing and identifying a wide variety of gemstones. The course will also build participants' confidence in purchasing gems. Copyright © The Gem and Jewelry Institute of Thailand (Public Organization). All rights reserved.